The latest offering of Varun Dhawan, October has released this Friday at the box office with a good buzz across the country. As expected the film has received mostly positive reviews from the critics but being an offbeat flick, it opened on a slow note and witnessed a decent growth post noon shows in multiplexes. Directed by Shoojit Sircar, October is an unconventional romantic drama written by Juhi Chaturvedi. 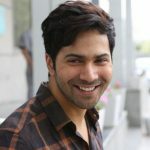 It stars the actor who is known for massy films, Varun Dhawan opposite to the debutante Banita Sandhu. Undoubtedly both the leading actors have given commendable performances and are being praised by everyone for that. From the critics, this first-ever collaboration of Varun & Shoojit has received a positive response for the noticeable performances, but due to the slow screenplay, it tests the patience of the audience. Although, the film is getting complete support of the fans. On the opening day, October started its journey on a slow note in morning and witnessed decent growth over the evening & night shows in multiplexes. With overall 20-25% of occupancy, the film has done the business of 5.04 crores at the domestic box office from 1683 crores across India, which is lower than expected. With this, it has become the 6th highest opener of the year so far and lowest of Varun’s career. Due to star power and critical acclaim, October is expected to take a considerable jump over the weekend.